Microbial fuel cells are notoriously inefficient. Electrodialysis systems are notoriously expensive. However if you combine the two and add some poo, they can turn waste water into a viable power source. The future of green energy is brown. A research team at Penn State announced a proof of concept device that can generate 0.9 kilowatt-hours of electricity per kilogram of organic waste. The device combines a microbial fuel cell (MFC) with a reverse electrodialysis system—which separates ions in a series of membranes. On their own, MFC's can only generate a relatively weak current, while the electrodialysis system's multiple membranes are expensive. But by combining them, "we overcame the limitations of the fuel cell and synergistically generated energy for the reverse electrodialysis system," said Professor Bruce Logan or Penn State. 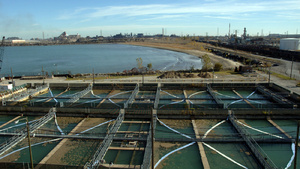 In addition, the MFC's in the proof of concept also act as a final cleaning stage in the waste water treatment process. 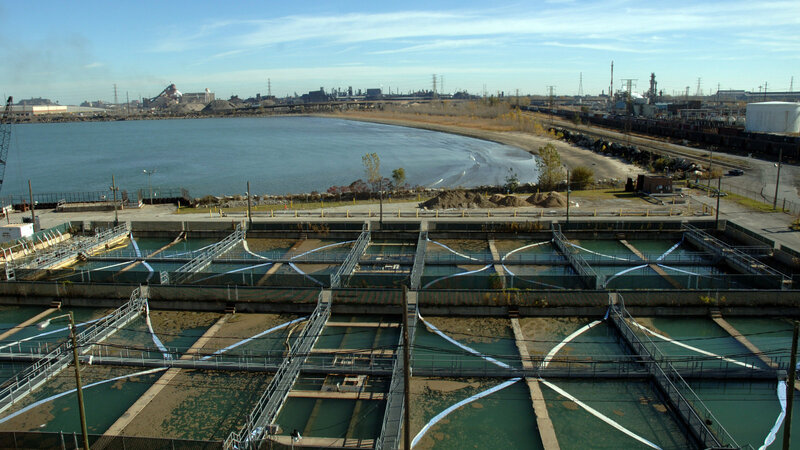 Treatment plants that consume, on average, 1.2kWh per kilogram of waste, can actually produce a positive amount of current while continuing to perform their conventional function. "We certainly could take care of the whole water system: the treating and pumping of water, which currently requires substantial amounts of power," said Logan. "We also treated the organic matter much faster." The secret, says Logan, lies in the fuel source for the reverse electrodialysis—ammonium bicarbonate. This compound reportedly is much more efficient than the saltwater normally employed. Between the ammonium bicarbonate and the addtiion of the MFC's, the team was able to reduce the number of reverse electrodialysis membranes from 20 pairs to five.